Congratulations to one industrious husband-wife team for expanding their successful Miracle Method location to serve the entire Richmond, VA, market. David and Elizabeth Dowdy recently completed the purchase of an additional territory to meet the rapidly increasing demand in that area. 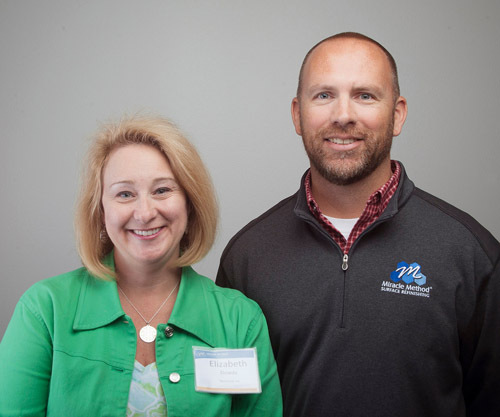 David and Elizabeth came to Miracle Method from very different corporate backgrounds. By taking advantage of ongoing training opportunities, corporate support, and the repository of resources, they were able to create a successful team. David manages the technicians, inventory, operations, and vendors; while Elizabeth’s expertise is in customer service, sales, and marketing. It’s no wonder the Richmond location is a success. We’re proud to have this committed and talented team as part of the Miracle Method family! The Richmond location is one of more than 140 Miracle Method offices nationwide and in Canada that has the support of the company’s over 35-year reputation of quality and service. 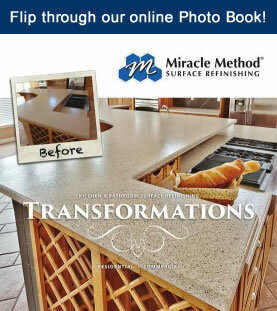 For information about owning a Miracle Method franchise, contact John Tubiolo, VP of Franchise Sales, at 877-434-5096 or visit www.miraclemethod.com/franchise.